This is the 4th part of the first workshop. 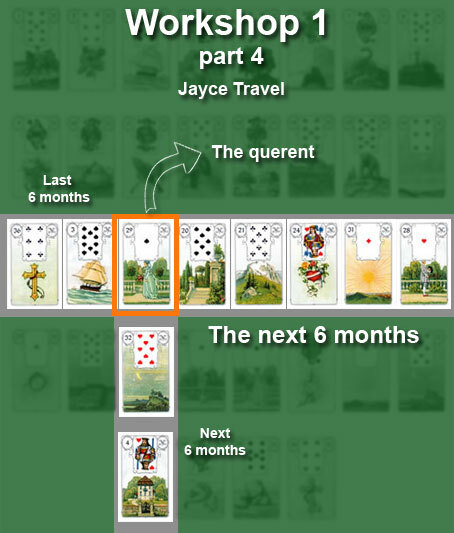 The cards that will be used for this part of the reading are shown in the picture. You can actually click on the image for a larger view. As said in the post explaining the theory of the Grand Tableau, the cards on the left of the querent’s card are showing the last 6 months. Cards on the right are about the next 6 months, and so are the cards below the querent. Cards on the left : the Cross and the Ship.